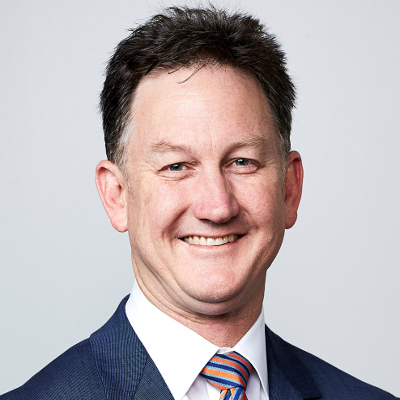 Dr Michael Gannon is the President of the Australian Medical Association, the Chairman of the Federal AMA Ethics & Medico-Legal Committee and is a member of both the Cases Committee of MDA National and the AMA’s Public Health Committee and Medical Practice Committee. Dr Gannon is also an obstetrician and gynaecologist with an interest in medical problems in pregnancy and perinatal loss, holding the positions of Head of the Department of Obstetrics and Gynaecology at St John of God Subiaco Hospital in Perth, the Lead Obstetrician in the Perinatal Loss Service at King Edward Memorial Hospital and the RANZCOG nominee to the state Perinatal and Infant Mortality Committee. Dr Gannon graduated from the University of Western Australia before training at Royal Perth Hospital, King Edward Memorial Hospital, the Rotunda Hospital in Dublin, and St Mary’s Hospital in London. He is the Chairman of the Federal AMA Ethics & Medico-Legal Committee. He has been a member of the AMA’s Public Health Committee and Medical Practice Committee. He is a Member of the Cases Committee of MDA National. 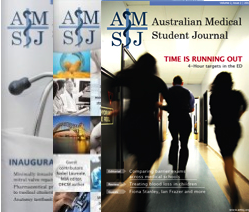 It is a pleasure to contribute to the Australian Medical Student Journal, and to be involved in the work and the thinking of the next generation of medical professionals. Medical education and training are at the core of Australian Medical Association (AMA) policy and advocacy. Without a quality future medical workforce, the health policies and reforms of government cannot succeed. The AMA keeps reminding governments at all levels of this important fact. But the concerns of medical students and young doctors extend well beyond the medical and the professional. You want to help build a better society. You want to empower people and communities. You have strong views on issues like climate change and marriage equality. Like the AMA, you want to make a difference – a real difference. AMA advocacy is very broad and very deep; it has to be. No other medical or health organisation in the country can even come close to our success in initiating or influencing change across the health system and society. Single-issue or narrow focus groups, like Doctors for the Environment and Doctors for Refugees, do great work, as do the learned Colleges, Societies, and Associations. The other health professions, the public health groups, consumer representatives, and other groups all do their jobs and also do them well. But the AMA’s mission goes so much further. These issues cover many facets of society and many ideologies. Some are regarded as progressive, some are conservative, but most are controversial — and therefore potentially divisive. We do this on top of our other core business — Medicare, the Pharmaceutical Benefits Scheme (PBS), public hospital funding, the Professional Services Review (PSR), medical workforce, private health, rural health, doctors’ health, and a broad range of public health issues. The AMA has to always tread a fine line, and we do that willingly, as with recent topical issues like climate change, pollution, air quality, and renewable energy. The AMA believes that climate change poses a significant worldwide threat to health and urgent action is required to reduce this potential harm. We have been vocal about the need for urgent government action, and have repeatedly called for the development of a National Strategy for Health and Climate Change. The AMA Position Statement, Climate Change and Human Health 2015, is a very strong document. It was developed from the ground up, with input from AMA members at grassroots level around the country. The AMA wants to see a national strategic approach to climate change and health, and we want health professionals to play an active and leading role in educating the public about the impacts and health issues associated with climate change. Human health is ultimately dependent on the health of the planet, and the AMA lobbies governments for urgent measures to mitigate the evolving effects of climate change, including the transition to non-combustion energy sources. The evidence is clear — we cannot sit back and do nothing. There is considerable evidence to encourage governments around the world to plan for the major impacts of climate change, which include extreme weather events, the spread of diseases, disrupted supplies of food and water, and threats to livelihoods and security. Our stance is not limited to the Position Statement. We are actively engaged in advocacy on climate change and health. We attended the Health Leaders Roundtable at Parliament House in 2016, where health advocacy bodies met with Members of Parliament to discuss the health impacts of climate change and the need for urgent action. We make regular submissions to relevant Parliamentary inquiries, where we take every opportunity to highlight the connection between climate change and human health. We adopt this approach across the broad range of policies we, as the peak medical organisation in the country, embrace. We take this role very seriously. You are the future of the medical profession. It is my job — and that of all AMA leaders — to pass on to you a strong policy platform, and an even stronger advocacy agenda, to help you achieve your ambitions in medicine and to make the world a better place in which to live. We will not let you down.